Atul Gawande, surgeon, professor, journalist and best-selling author, has been chosen to head a healthcare joint-venture of Amazon, Warren Buffet and J P Morgan Chase. The yet-to-be named venture is expected to be a major disruptor in the healthcare sector, true to the Amazon spirit and Warren Buffet’s vision of improved healthcare at lowered costs. Update: On 07 March 2019, the venture has finally been given a name: Haven Healthcare. To begin with, Haven Healthcare will work on simplifying health benefits of the employees and families of the three companies. Later, it will extend the offerings to other companies. The three companies have a combined workforce of 1.2 million. While the company is yet to be named, it will be based in Boston and will work towards lowering US employees healthcare cost. Jeff Bezos, founder CEO of Amazon said Dr Atul Gawande had “an expert’s knowledge, a beginner’s mind, and a long-term orientation”. Dr Atul Gawande, a general and endocrine surgeon at Brigham and Women’s Hospital, is a well-respected author of books like The Checklist Manifesto, Being Mortal: Medicine and What Matters in the End, Complications: A surgeon’s note on an Imperfect Science, and Better. He has, through his writings, been critical of the healthcare cost disparities across the US. Traditionally US companies have been letting insurers worry about healthcare of employees. Healthcare is largely a private sector domain in the US and healthcare insurance, as a norm, is offered from the organization you work at. There has been some criticism of this system. For one, it has not changed over the last half century or so. For another, it is considered extremely expensive. And for all the massive startup and disruption culture, born in the Silicon Valley and exported everywhere, healthcare has seen practically seen no change over time. While AI is threatening to rob many jobs, healthcare is seen as a relatively safe sector. To be fair, there have been movements earlier, but probably none was so deeply resonating. Healthcare companies have been trying to widen their services and cast a wider net. Rhode Island headquartered CVS Healthcare, a Fortune 500 retail pharma and healthcare company, had acquired Aetna for $69 billion in 2017. Cigna, health service organization, picked up Express Scripts for $67 billion in March this year. Recently however, companies like Cisco and Intel have begun taking a closer interest in the health of their employees. Rising employee healthcare costs have made Walmart consider bypassing insurers. Further, Amazon’s image of being industry and business disruptor was evident when the above announcement negatively impacted the share prices of healthcare supply chain companies. The reason: the fear that Amazon’s entry would make middleman lose substantial business (read profits). Initially, the new entity will focus its efforts on the employees of the three parent companies. That’s not surprising, given that the three companies employ about 1 million people among themselves. Once the model is in place, other employees will be taken up. Buffet has expressed hopes that the Amazon, Berkshire, JP Morgan Chase coalition could “find a way where perhaps better care could be delivered even at somewhat lesser cost”. While long-term ambitions remain big, the initial goal is temperate: reduce costs and improve care for workers. In some ways, choosing Gawande signals larger ambitions on the part of the JV. Considering his background and his views, the company will work toward the lowering costs of the healthcare on a comprehensive basis, and not just of prescription drugs. Gawande expressed his excitement and optimism upon taking up the new role. His remark that “[the new company will] incubate better models of care for all. This work will take time but must be done. The system is broken, and better is possible” clearly indicates there could be a lot of changes coming up in the healthcare sector. Why not connect with us over Facebook? Or how about following us over Twitter? Dr Gawande’s selection is based on a lot more than his best-seller books or his medical expertise. 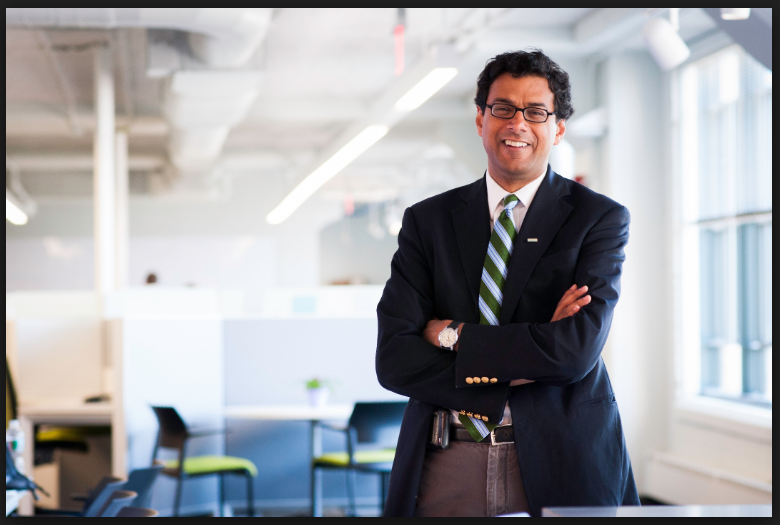 As Forbes reports, Dr Gawande’s efforts helped reduce post-surgery deaths by 20 percent. The facts behind this achievement sound too mundane to be true: checklists. Dr Atul Gawande’s Ariadne Labs developed a surgery safety checklist. The checklist was meant to minimize human errors during surgery. It also helped document all details, right from the patient’s name to the instruments used during surgery. Dr Atul Gawande, born in Brooklyn to a doctor couple of Indian origin, was so enthused by the results he wrote about them in detail in The Checklist Manifesto as well as Being Mortal. Apparently, idea was to bring in someone “not so deeply invested in the status quo designs”, in the words of Dr Don Berwick, who has earlier headed Medicare & Medicaid Services under President Barack Obama. Buffet’s business partner Charlie Munger was so impressed by Dr Atul Gawande’s views in his famous 2009 article The Cost Conundrum he had sent a $20,000 cheque to Gawande, who donated it to an international project to improve surgical equipment in developing countries. It is not clear at this moment whether Dr Atul Gawande will give up any of his present roles to focus on this new entity. He is understood to take charge on July 9, 2018.